The number of livestock lost this spring is higher than normal due to bad weather. Payments via the Scottish Government’s £250,000 fund to help offset the cost of fallen stock retrieval will be made in July. The National Fallen Stock Company (NFSCo) will distribute the funds to help cover the costs of fallen stock retrieval following prolonged wet weather which resulted in a sharp rise in livestock losses. 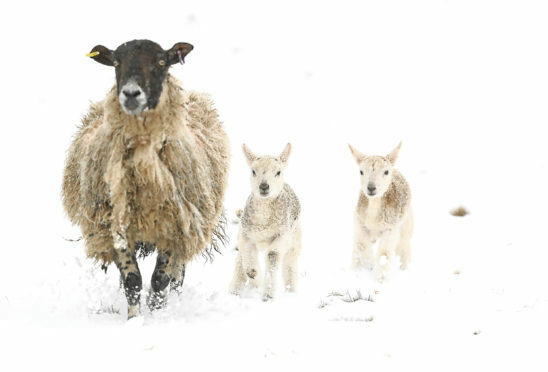 In a statement, NFSCo said funds will be available to all livestock farmers in Scotland who have had an increase in their fallen stock collection costs for sheep and cattle collected between February 1 and April 30, over and above the previous two years’ average. “Farmers who are NFSCo members and have had all their fallen stock collection and disposal costs invoiced via NFSCo for the last three years need to take no further action,” said NFSCo. Farmers who are not NFSCo members, or have not been invoiced via NFSCo in the last three years, must complete and sign an application form by May 31. Forms are available online at www.nfsco.co.uk or by calling 01335 320014.